Does your software not render the output you intend to get? Is your software application having conformance issue with the specified requirements? If yes, then, you need a complete suite of functional testing services from Outsource2india. We provide functional testing services which are focused on testing the software applications against the required specifications which meet defined functionality. 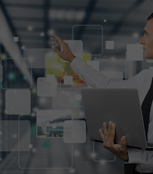 Functional testing is an integral element for boosting your software quality. If done accurately and by the professionals, it can successfully support the functionality & the quality of your system while assuring its stability. At O2I, we will engage with you in all the phases of software testing lifecycle to align your testing objectives with your business goals. When you outsource functional testing services to us, we will make sure that you get the best software testing services and support. Our system integration testing incorporates the best testing approach while making sure that all the individual modules, product setups, batch operations, reporting functionalities and interfaces of an application-under-test (AUT) work well. 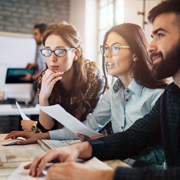 By executing your software module through system integration testing, we can determine the degree of conformance of an application with the functional & the technical specifications document. At O2I, we incorporate the best of expertise and methodology to render a full range of regression testing services. Our functional testing experts can execute the testing in multiple application lifecycle models, including waterfall, iterative, agile, etc. We will validate the functionality of the software through repetitive iteration and continuous testing. This process ensures that no repetitive defects occur, and the application is fail-safe. O2I's software test automation services comprise the best principles of script development and documentation. Our functional testing experts are adept at meeting the test automation goals and have adopted the best of automation frameworks while integrating the automation tool with the test management tools. Our automated functional testing will help you achieve the user acceptance you intend to accomplish. Overall, it will enable you to increase your productivity, performance, functional coverage and accuracy of your software development project. User acceptance testing (UAT) is the final block in the deployment of any software. Our UAT services encompass the on-going regression testing of the proposed and maintenance releases. The process includes business process flow, interfaces, alerts, reports, and batch processing. When you decide on outsourcing functional testing services to O2I, we will make sure that you get hassle-free services and your application meet the end user expectations for functionality. We have 20 years of experience in providing functional testing services to our clients of various industries and verticals, including retail, IT, e-commerce, manufacturing, finance, healthcare, travel, e-learning, digital technology, etc. Why Choose O2I for Functional Testing Services? If your in-house frameworks are rigid, and your budgets are tight, then outsource functional testing to us. At O2I, we have inculcated an omnichannel approach to functional testing, allowing you to make a high performing application. We have strict due diligence to identify KPI targets and a robust functional testing services that meet all the SLA. 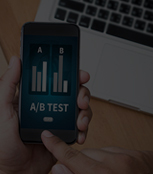 We also have the required skills, expertise, and infrastructure to provide with you a world-class and creative functional testing services at highly affordable prices. As the proud bearer of ISO/IEC 27001:2013 certification, Outsource2india has successfully established a robust network of information risk management framework that can evaluate and address all types of security risk. Also, we stringently follow ISMS safety standards to guard information resources, including tools, systems, and people. Our offices have contemporary infrastructure and state-of-the-art equipment essential to provide the best functional testing services. We have independent Internet Leased Circuits, built in IT redundancies, 200% power back up, etc. We also direct our team members strictly comply with your industry’s regulations. We have four different offices and five delivery centers spread across the globe. It allows us to provide a better support and make ourselves accessible all the time. Furthermore, our customer support teams work across all the time zones and are readily available to provide their service at your convenient time. 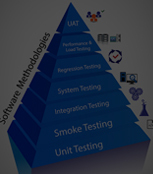 O2I is one of the leading provider of functional testing services in India. Our team of functional testing professionals are always updated with the latest tools & frameworks. And when you collaborate with us, we will ensure proper functioning of your application through our services. When you outsource functional testing services to us, you will see a faster turnaround for all your software testing projects. We leverage the expertise of our global delivery centers' resources to deliver the industry's best customer service through modern communication channels. We will allocate a dedicated project manager once you outsource the functional testing project to us. Our project manager, call center executives, and the testing team is always accessible, and you can give them a quick call to raise any problem or discuss your inquiries. At O2I, we have the vital resource competence and the wherewithal, both in terms of know-how and infrastructure. You can depend on us to manage any surge in your business demands so that you compensate only for the services you received. The client contacted O2I and wanted to test 130 websites in four different browsers. We executed security testing and freed their website from all vulnerabilities. Read how Outsource2india helped its customer with project delivery issues by creating an innovative solution, which in turn also reduced their total costs incurred! At Outsource2inida, we have an extended suite of functional testers, who can provide you with a high-level of functional testing services, which can be customized according to your needs. Outsource2india has been a leading provider of functional testing services and a series of other software testing services. With around 20 years of experience in the testing domain, we carry in-depth software testing expertise and are results oriented. 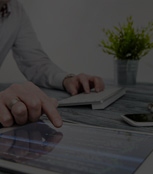 Our functional testing services will allow you to leverage the power of a robust application that evolves with your business and lays the groundwork for a long-term success. Approach us now for building and driving your application towards yielding a sustained impact on the market with the help of our functional testing services.